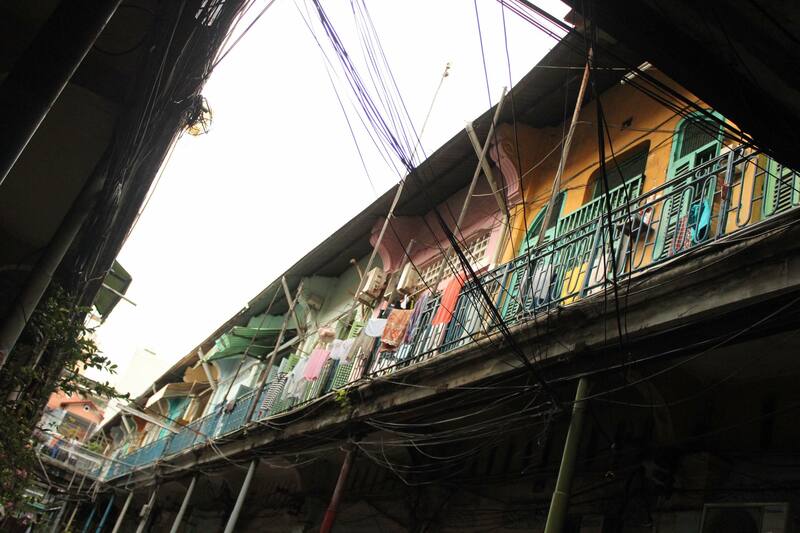 Alleyways are hard to find on Google Maps, but each one has a close relationship with city life in Vietnam. Ho Chi Minh City has thousands of main roads that are active throughout the day and night. It expresses the rhythm of a city without a stopping moment. Behind these main roads are thousands of different kinds of alleyways that knit the city together, creating much-needed living space for millions of residents. 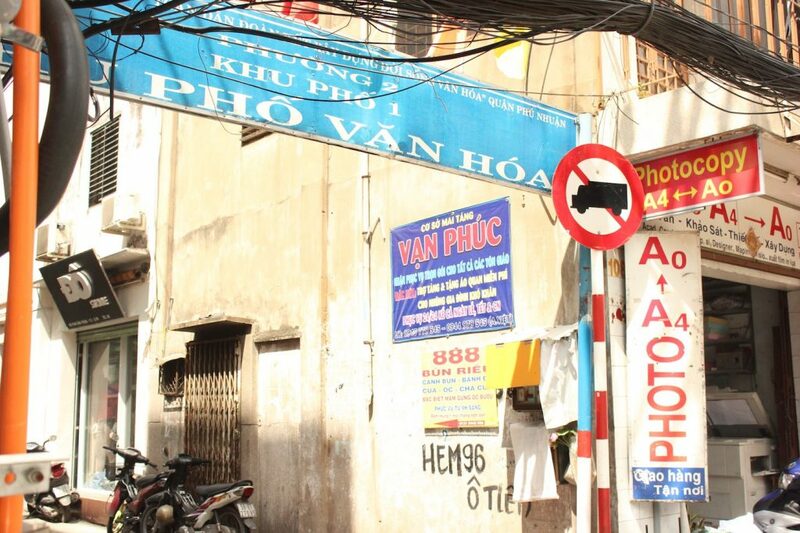 Let’s dive inside the maze of Ho Chi Minh City’s alleyways. This alleyway is home to the largest wholesale flower market in Ho Chi Minh City. Ho Thi Ky Flower Market is nestled in the Le Hong Phong apartment complex in District 10, operating 24 hours a day. 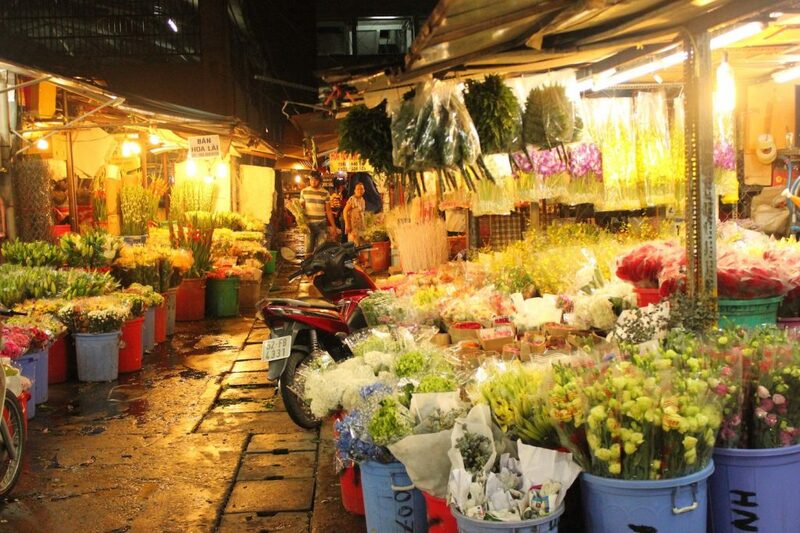 Between 1 am to 3 am, you’ll see the scene of a bustling flower market between buyers and sellers. The bargains from traders, boisterous laughters of porters, the “purr purr” motorbike sounds combine to create a unique lifestyle under rush, not to be confused with any other alleyway market. Alley 57, Ho Thi Ki Street, Ward 1, District 10, Ho Chi Minh City. This colorful row of houses was built over 100 years ago. The space is usually under darkness and people must turn on the lights even in the daylight. People often use the common courtyard as a place to set up small shops and parking places for their motorbikes. Alley 206, Tran Hung Dao Street, Ward Nguyen Cu Trinh, District 5, Ho Chi Minh City. Less than a kilometer-long alleyway, there are five temples built within it. People often call it the “meditation” alleyway. The biggest difference of this alley is that it offers quiet space, pure environment, and good ventilation. Alley 498, Le Quang Dinh Street, Ward 1, Go Vap District, Ho Chi Minh City. Along the sides and above the top of this alley are two apartment buildings. You can find two restaurants, a nice coffee shop and two fashion shops. In front of the alley is a cafeteria open all-day. 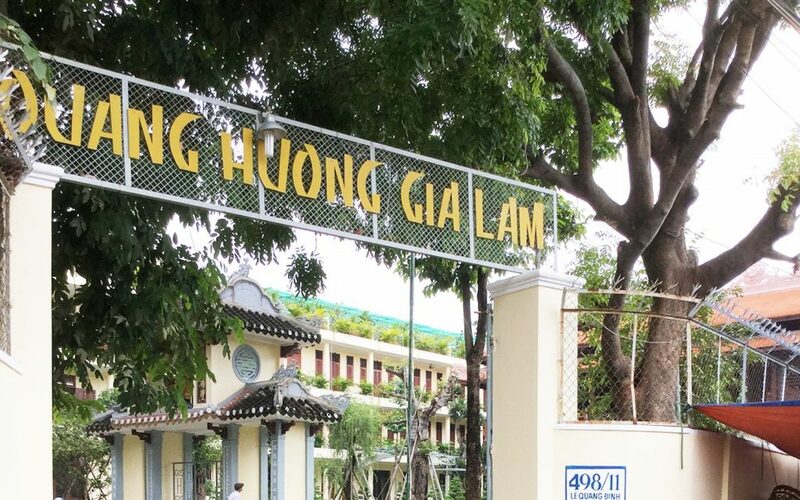 It’s one of the most popular places for young locals who want to find a place to hang out with their friends all night in Ho Chi Minh City. There are some delicious Vietnamese cuisine restaurants inside the alley that attract many foreign visitors. The first thing you’ll notice when entering the ‘Overnight alleyway’ is the sounds of all the different languages being spoken. Just off this small alleyway is Bui Vien street which is known casually as the “West Street” (the street where westerners go) to locals. Savvy locals are known for setting up impromptu pop up stores before the sunset each evening to serve the needs of visitors and backpackers who make up Bui Vien. You’ll see one-day tours being offered, motorbike and bicycle rental services, massages of all kinds, a bookstore, Vietnamese street food. You’ll find just about everything in this alleyway. 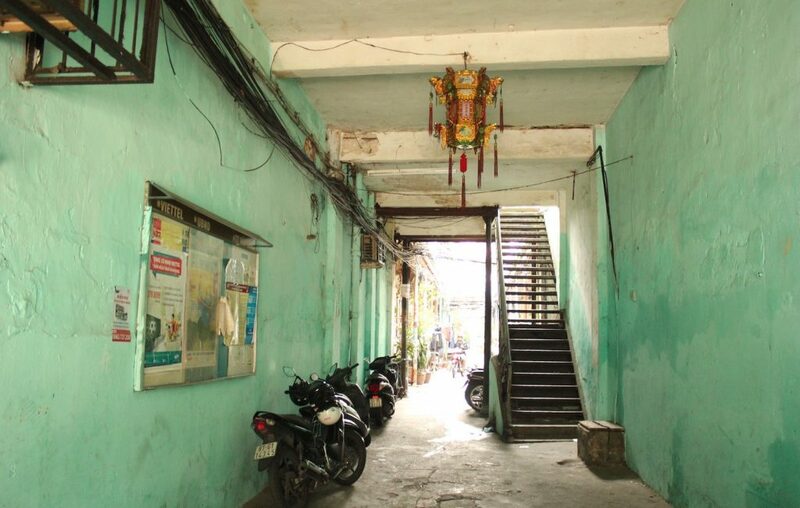 Alley 104, Bui Vien Street, Pham Ngu Lao Ward, District 1, Ho Chi Minh City. This alleyway has up to six free services for the poor and the disabled: free water, free patch and pump for tires, free motorbike taxi, free medicine cabinet, free vegetarian food 4 days per month, and free burial assistance. 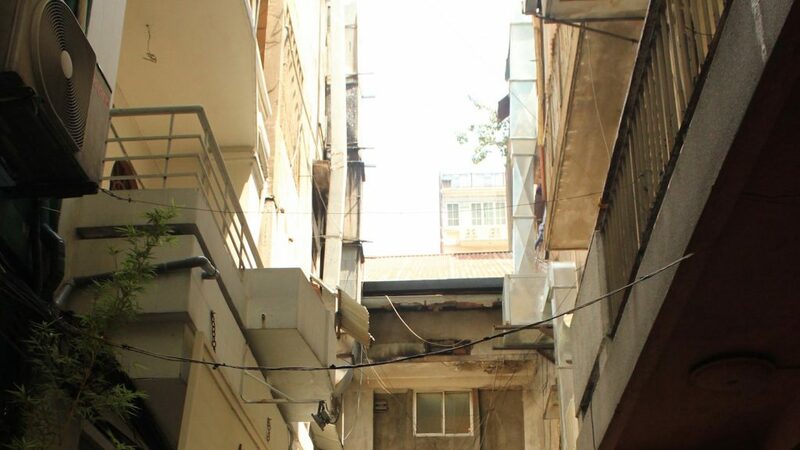 The locals who make up this alleyway are not rich, but they have stayed together within the alleyway for years. Offering free services when they can to the poor, all the while running their businesses. “In the past, there were many in this alley. Residents often saw people who used drugs, shooting up heroin and opium, claimed that they are “high” as “being in heaven.” Today, there is another way to interpret the name: this is a place where fairies exist in daily life, to help the unlucky when in need. This alleyway is a heartwarming consolation for unlucky people in this big city. Alley 96, Phan Dinh Phung Street, Ward 2, Phu Nhuan District, Ho Chi Minh City. 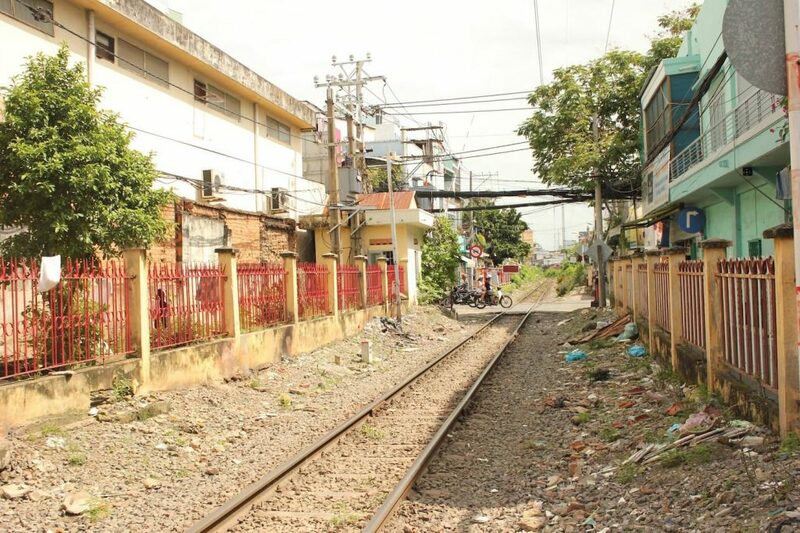 The loud echoes made by the train’s daily midnight whistle are quite familiar with residents of the neighborhood. It serves as a daily reminder that the workday is over and it’s time to rest. For many, it’s ingrained into the character of the neighborhood. Alley 297, Tran Van Dang Street, Ward 11, District 3, Ho Chi Minh City. 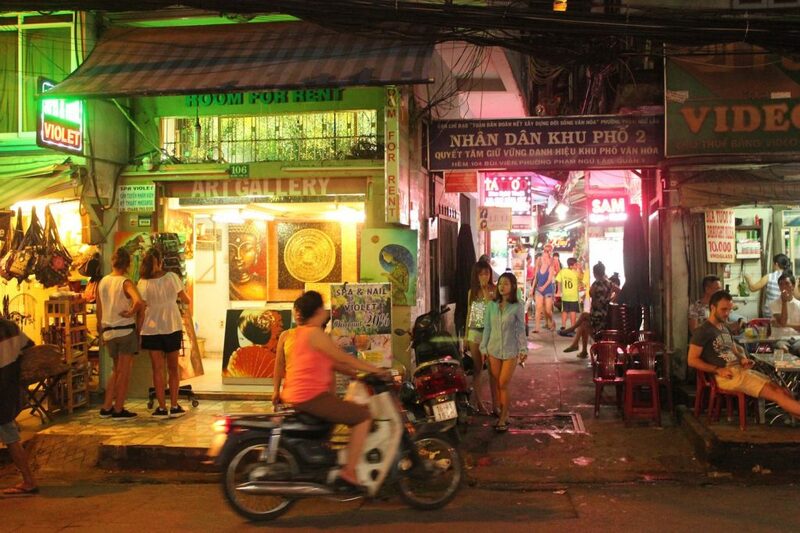 Alleyways are where you’ll find Ho Chi Minh City’s best gems. Do you have any to share? Leave us a few recommendations in the comments!